“I hit a crazy shot that I saw in my head.” That’s what Bubba Watson said, after hitting a miracle shot on the second hole of a sudden-death playoff with South Africa’s Louis Oosthuizen, at the Masters Golf tourney last month. Watson saw the shot in his mind’s eye. He made the shot. It won him the tourney. The best golfers are good at visualizing a successful resolution, outcome, and then making it happen. We can all learn from them. 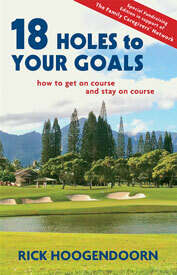 Rick Hoogendoorn has just written a book about golf, 18 Holes to Your Goals: How to get on course and stay on course. With golf as a metaphor, Rick wrote the book as a fundraiser for the Family Caregivers Network Society (of which Rick is the current Board Chair), a British Columbia-based charity (I’m a member) that helps people care for their aging adult family members. Rick’s book applies to anyone striving for success; e.g., like you and I. Be present. Golfers are only in the present moment when they play golf. They play the single shot they are playing. They can never take more than one shot at a time. They never shoot for more than ones target at a time. Know where you are. In golf, the relationship to a target must be understood. The golfer is concerned with where they are, not where they should be. Know where you want to go. A golf course is designed so that golfers constantly move towards their targets. Even when they get in trouble they still have something to shoot for. They have direction regardless of their circumstances. Adapt to the situation in front of you. The golfer is always making adjustments along the way. One hole they’re sitting pretty on the fairway. The next they’re in the sand trap. Manage expectations. Setbacks are inevitable. Even the best golf pros only hit the fairway 70% of the time. Actions don’t have to be perfect. Be prepared to act. This should be obvious. Yet just in case. In golf, shots must be taken. Procrastination and doing nothing is a non-issue. Do your homework beforehand. Like any respectable craftsman, the golf pro has put in time, intentional daily practice, practicing getting in and out of trouble. Stay positive. The spirit of optimism is inherent in the game of golf. Despite the challenges, golfers can get to the end of their round, and they know it. Its easy to have a love/hate relationship with golf. I spent (wasted?) a good chunk of my teenage years golfing. I lived within walking distance to a public course. The annual membership fee was less than $100. Practice makes… One year I was on my college golf team. Alas, visualization was not part of my practice routine. In fact, my whole mental approach to golf sucked then. I moved on from golf. Thankfully, time has softened my internal critic, and I’m renewing my fondness for the game. Get a copy of Rick’s book (and/or support the Family Caregiver’s annual golf tourney). It’s for a great cause. And, Rick (whose primary gig is as a realtor) is one of the more creative people I know. His sense of joie de vivre (that’s French for full of life) is always out there, and definitely so in his book. Maybe golf isn’t your thing. What’s your sport or games metaphor for visualizing resolution? Get the latest posts and news from Collaborative Journeys sent to your inbox. 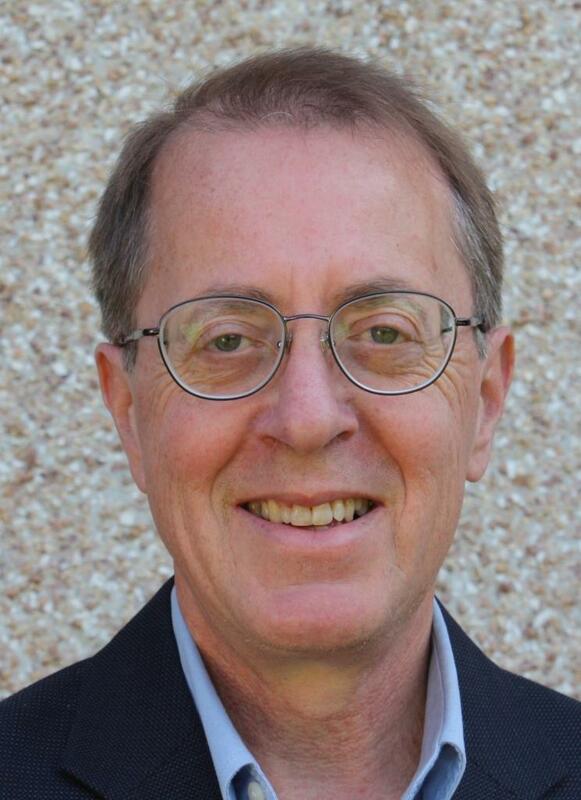 I'm Ben Ziegler, a collaboration and conflict management specialist based in Victoria, BC (Canada). I help individuals, teams, and organizations effect constructive responses to their 'working together' challenges. Send a note to Ben.